South Africa's playground, KwaZulu-Natal has spectacular mountain ranges, miles and miles of golden beaches, battlefields and some of the best game reserves in the country. Every June and July, hundreds of thousands of sardines make their way up the coast, getting trapped in bays and coves, they beach themselves and create much excitement at this natural extravaganza. Home to two World Heritage sites, Kwazulu-Natal abounds in natural beauty and cultural heritage. The Greater St.Lucia Wetlands Park, has five distinct ecosystems and a unique biodiversity found nowhere else on earth, offers everything from Big 5 game viewing, gorgeous beaches and some of the best snorkelling and scuba diving in the country. The uKhahlamba Drakensberg Park is adorned with Stone Age cave paintings and exceptional natural beauty. 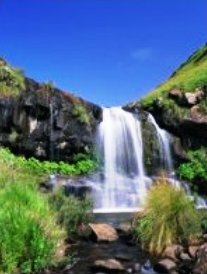 Hundreds of hiking trails criss-cross through the park, providing endless hours of scenic, horse back riding, mountain biking, quad trails and 3 day hikes into the heart of the Drakensberg. The Valley of 1000 Hills offers an array of cultural experiences, scenic nature walks, animal farms, restaurants and craft markets. The Midlands Meander offers everything from cosy pubs and restaurants, crafts, wines, cheeses and a wide variety of local products. UShaka Marine World is the biggest theme park in Africa, with an aquarium, water world, underwater adventures and a shopping centre. Visit one of many KZN Wildlife Parks, for some of the best game viewing in the country; from the Big 5 to Marine Reserves. A trip to KZN would not be complete without visiting one of many beautiful beaches, to relax in the sun, go fishing or even try surfing. The city of Pietermaritzburg has a strong colonial heritage, however, this vibrant town has a great mix of Indian, Zulu and English-speaking people. The city is often referred to as the best-preserved Victorian City in the country. Bustling Durban is the hub of the province's business and industry and pulses with all the energy of a major port city. Luxury hotels abound on Durban's beachfront, and this city is often referred to as South Africa's ‘Miami Beach'. Durban is one of the fastest-growing urban areas in the world. Some of South Africa's best beaches can be found along the Natal coastline. Umhlanga Rocks, Ballito, Shaka's Rock, Shelley Beach (on the North Coast), Uvongo and Margate (on the South coast) – to mention just a few. These beaches offer safe swimming and fantastic surfing possibilities. Durban also boasts spectacular beaches including Addington Beach, South and North beaches and Dairy beach. Grey Street is home to Durban's Indian population. Here, you will find the Juma Musjid Mosque and its gilt-domed minarets (1927) – the largest mosque in the southern hemisphere. Wander around the area and the bazaars and buy some of the incredible spices and best textiles in the province, from local Indian vendors. The Ukhahlamba-Drakensberg Park was declared a World Heritage Site in 2000. This mountain wilderness, bordering Lesotho, is a vast national park boasting the highest mountain range in South Africa. Known to the Zulus as the `Barrier of Spears', the Drakensberg (or `Dragon Mountains') mountain range is truly spectacular. Often referred to as Little Switzerland, this part of the world offers spectacular waterfalls, mountain peaks and rock faces adorned with San rock art. 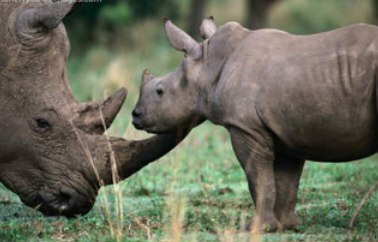 Famous for its rhino conservation programme and big five sightings, Hluhluwe-Umfolozi Park is the largest of KZN's reserves and boasts a fantastic cross section of wildlife. Mkuzi and Ndomo game reserves are also popular, and walking safaris in these reserves are spectacular. 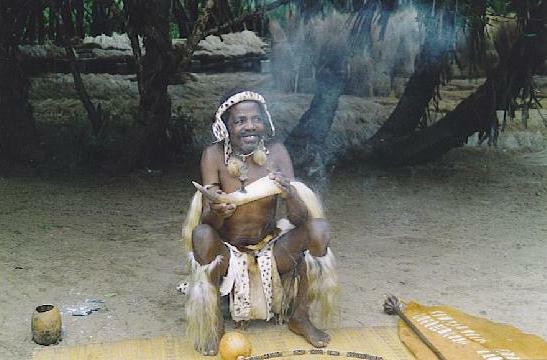 KwaZulu-Natal is referred to as the ‘Kingdom of the Zulus'. To the west of the Hluhluwe-Umfolozi Game Reserve (150km north of Ulundi), one can explore cultural museums, that concentrate on local history. Near Ondini, one can find the reconstructed royal enclosure of Cetshwayo, the Zulu King. The fascinating Vukani Collection Museum is found at Eshowe and boasts one of the best collections of Zulu art and culture in the world. Shakaland and Gingindlovu are also worth a visit. Along the Maputaland coastline, you will find The Great St Lucia Wetlands Park - an eco-tourism wonderland of beautiful lakes, swamps, forests and marshlands, surrounding the estuary of Lake St Lucia. This area was declared as one of South Africa's first World Heritage Sites – and is no doubt one of the most beautiful wetlands areas in the world. Some of the best diving and snorkelling opportunities in South Africa are on offer in Sodwana – a veritable mecca for those who love underwater adventure. 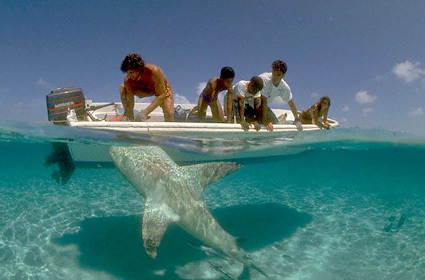 The area is also famous for big-game fishing. A number of Battlefield tours are on offer in KZN, where some of South Africa's most turbulent wars took place. The interior, north of the Tugela River, marks the spot of gruesome battles between Boers and Zulus, British and Zulus and, of course, the Boers and the British. Visit the place where Mahatma Gandhi developed his philosophy of passive resistance. Visit Ohlange, the school founded by the president of the ANC – John Dube – or visit the Inanda Seminary, home to the largest Shembe church in the province (two million members). The Midlands Meander is a picture-postcard country. The rolling green hills of the midlands are home to English-style country inns, guesthouses and quaint bed and breakfast establishments. The area is known for its delightful restaurants and a marvellous arts-and-crafts route. 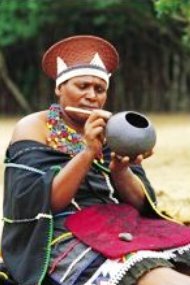 KwaZulu-Natal boasts a wide range of markets, craft shops and galleries, where one can purchase the finest Zulu crafts. Traditional baskets, woven beer strainers, Zulu drums, shields and assegais, beadwork, pottery and regalia - can all be purchased at reasonable prices. One of the most picturesque drives in the world is just 45km from Durban, known as the Valley of a Thousand Hills. It is in these hills that Zulu people still live in their traditional huts. The views are breathtaking – to be savoured, slowly. The coastline from Port Shepstone to Port Edward has been called the Hibiscus Coast, because of its lush gardens, luxury suburban homes, beach-side cottages and friendly caravan parks. The area is known for fantastic beaches, as well as golfing opportunities. This is real bucket-and-spade country – with the towns of Margate and Uvongo being firm favourites. The glorious Dolphin Coast stretches from Umhlanga Rocks, north of Durban, to the mouth of the Tugela River. 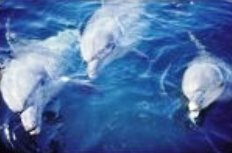 The area boasts wide beaches and the warm ocean is the perfect playground for dolphins. The main holiday resorts consist of Ballito, Salt Rock and Umhlanga Rocks – all three offer five star hotels, however, self-catering accommodation is a firm favourite amongst local holidaymakers. Where the fun never sets and offers miles of golden beaches, the Valley of 1000 Hills, bustling coastal holiday towns, cultural experiences, great surfing and good fishing spot. Visit the coastal towns of the Umdoni Coast and Country Region, during June and July, to experience one of nature’s exciting annual migrations, the Sardine Run; where millions of sardines make their way up the coast. It is known for its many lively towns, perfect beaches, excellent fishing spots, dolphins and the Banana Express Steam Train. This is the smallest region in KwaZulu-Natal and in the winter months, when the snow falls on the mountains, it makes for perfect snowboarding and building snowmen. This is a range of mountains over 200km in length and 3300m at the highest point. These majestic mountains are the source of hundreds of hiking trails, ranging from short 30-minute walks to 5 and 6 day hikes covering over 65km. The Midlands is home to Pietermaritzburg, the KwaZulu-Natal capital and have some of the most scenic areas in KwaZulu-Natal, with lush green fields and warm sun-filled days. The Battlefields area is scattered with the remains and memorials of the many battles fought during the 1800’s. There are many self-drive routes as well as guided tours of the area and the various battlefields. This offers a perfect viewpoint from which to spot the schools of dolphins that frequent the area and this sub-tropical area teems with natural vegetation, bird life and rocky beaches. It has a large variety of cultural experiences, wildlife sanctuaries, game and nature reserves, estuaries and a huge birding community. This is an unspoilt paradise, stretching up the coast to Mozambique and is home to the Greater St. Lucia Wetland Park, a World Heritage Site, as well as the Hluhluwe-Umfolozi and the Mkuze Nature Reserves, and Sodwana Bay and Kosi Bay.